Grain growers in WA get the most improved award for seed cleaning this year. A study by AHRI researcher Mechelle Owen in 2015 found that 41% of grower seed samples were completely weed free compared to 27% when the survey was first conducted in 2008. Gold star to these growers! The 2008 study concluded that seed cleaning professionals were better than grain growers at cleaning seed. And it seems that many grain growers have taken notice, with 95% of growers in the 2015 study using seed cleaning contractors. And it’s a good thing too, because the contractors in 2015 were 10x as good as the growers at cleaning seed. It’ll come as no surprise that the weeds from the samples containing weed seeds were herbicide resistant. The last thing we want to do is plant herbicide resistant weeds with our crop. And this study continues to show that clean seed is possible. What’s the secret to Carlton’s success? Sacking the coach last year has a lot to do with it! 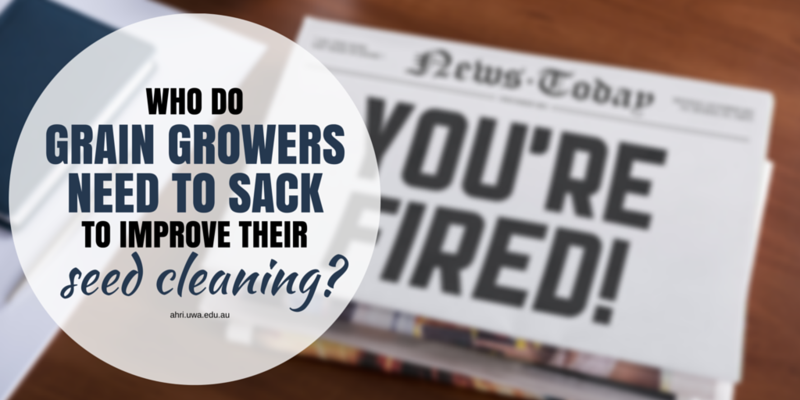 Who do grain growers need to sack to improve their seed cleaning? Read on, because the answer might surprise you. 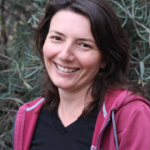 AHRI researcher, Mechelle Owen, has conducted two seed cleaning surveys with GRDC funding. She noticed significant improvements in 2015 compared to 2008. During 2015, a total of 81 grain samples were collected from 29 growers from two regions, Dalwallinu and Corrigin. These were the same growers that took part in the 2008 survey (although only two regions were surveyed in 2015 instead of four as in 2008). So what were these improvements? 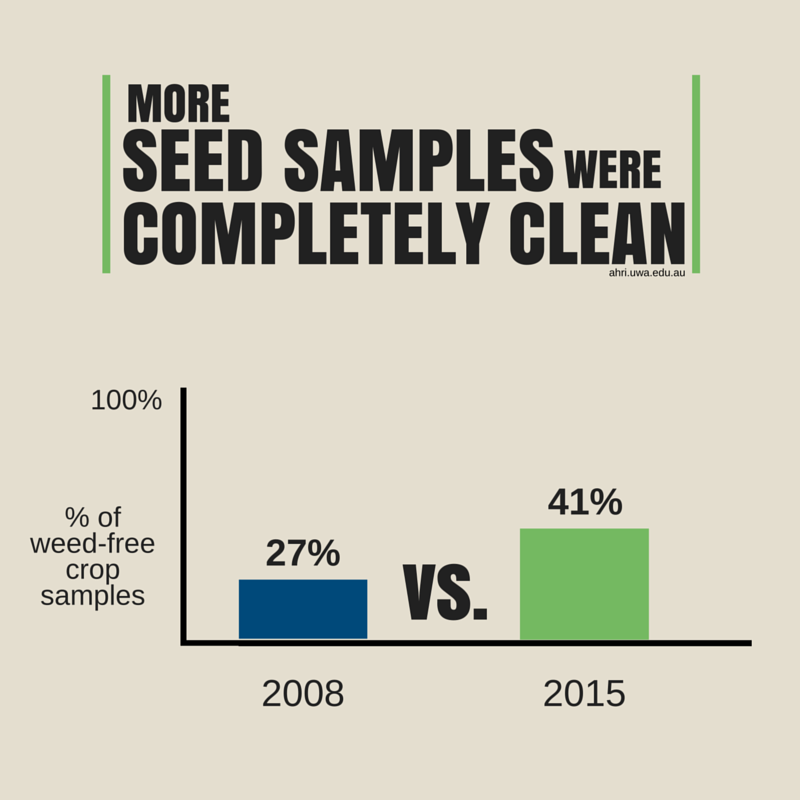 The number of completely weed-free crop seed samples had increased from 27% of samples in 2008 to 41% in 2015. Big improvement! Most growers hadn’t changed their seed cleaning practices since 2008, but many had changed the way they sourced their crop seed by selecting cleaner paddocks and looking at on-farm hygiene such as cleaning sheds and silos. 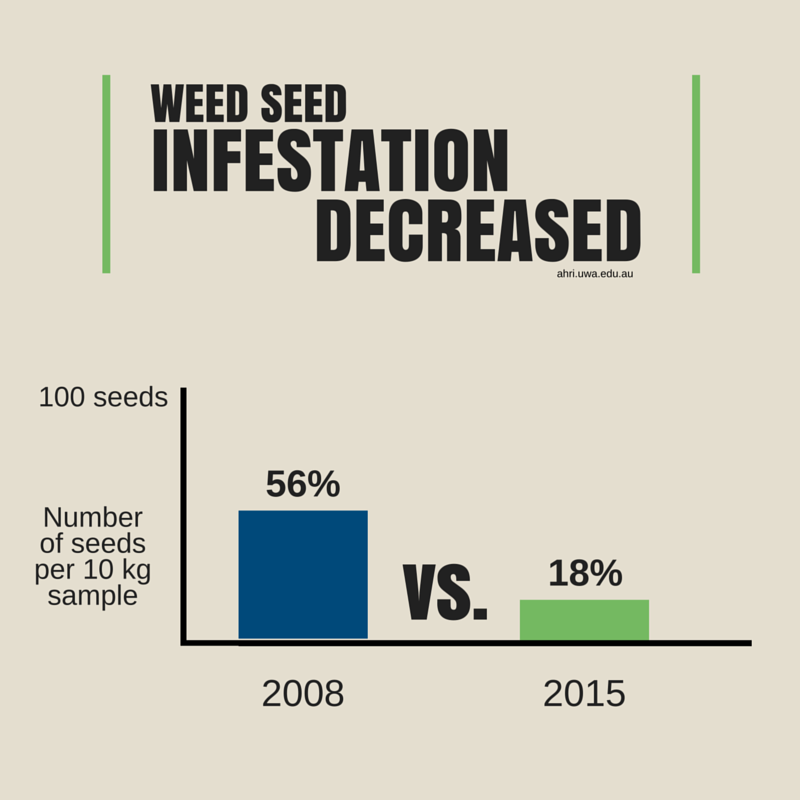 Overall the level of weed seed infestation had decreased from 56 seeds per 10 kg sample in 2008 to 18 in 2015. In the 2008 survey, contractor cleaned seed had ~50 weed seeds per 10kg seed sample and in 2015 this was just 11 weed seeds. Conversely, the growers in the 2008 survey did a better job than those in 2015 (although this could be due to less growers cleaning their own seed in 2015 than 2008). 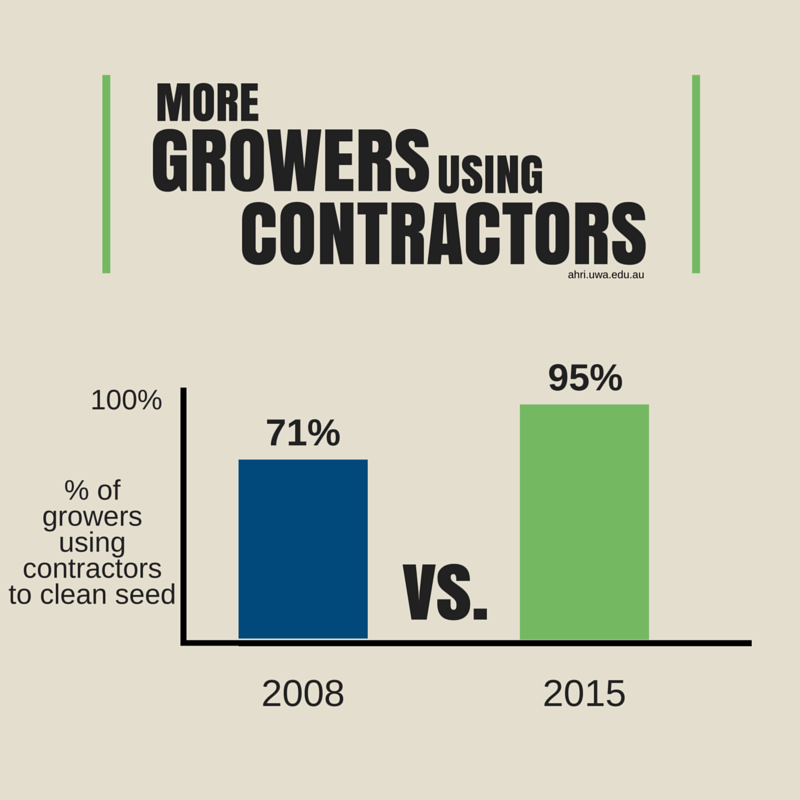 In 2015, 95% of growers used contractors to clean their seed (either on-farm contractors or seed cleaners in town) compared to 71% in the 2008 survey. Samples cleaned using gravity tables had the lowest level of weed seed contamination. Any method of cleaning was beneficial: the uncleaned control samples had 45 – 160 times higher levels of contamination, with an average of 1, 841 weed seeds in a 10 kg sample. Contractors were more than 10x better than growers at cleaning seed. Farmer-cleaned samples had 144 seeds / 10kg sample compared to 11 seeds for samples cleaned by independent contractors (mobile and in-town). Figure 1: Contamination levels for each cleaning method. Significant differences (P<0.05) between treatments are indicated by different letters above the bars. 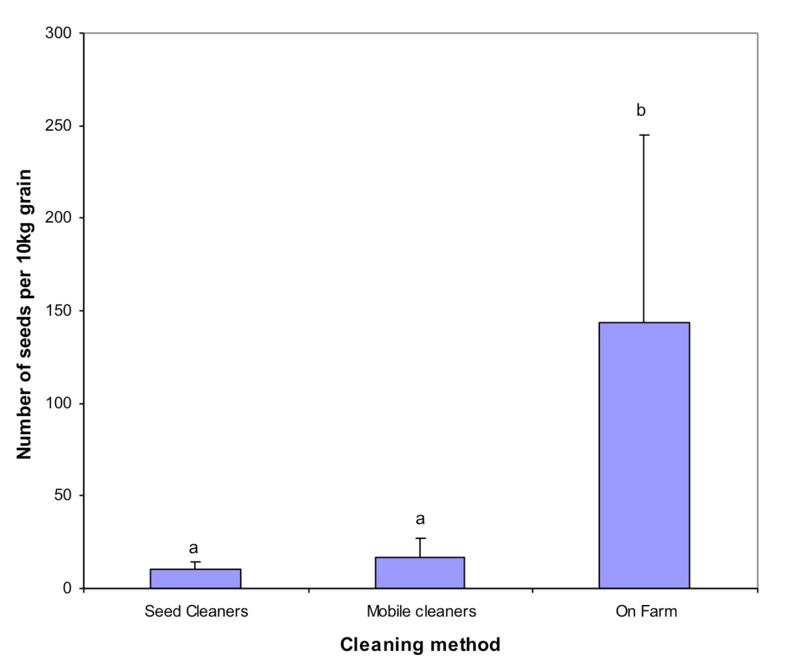 Three different grain cleaning facilities were identified, with use of local seed cleaners (in-town, using gravity tables) being most common (81%), followed by the mobile seed cleaners on-farm using a combination method (gravity table, screen and sieves) (14%), and cleaning at home using sieves and air (5%). In terms of cleaning seed, mobile seed cleaners weren’t significantly different to commercial seed cleaners in town. The main weed contaminant was annual ryegrass, which occurred in almost half the samples (49%), followed by wild radish (16%), wild oats (12%) and brome (11%). Volunteer crop species (mainly wheat in barley samples) accounted for high levels of contamination (Figure 2). The level of weed seed contamination was similar to that expected by growers. 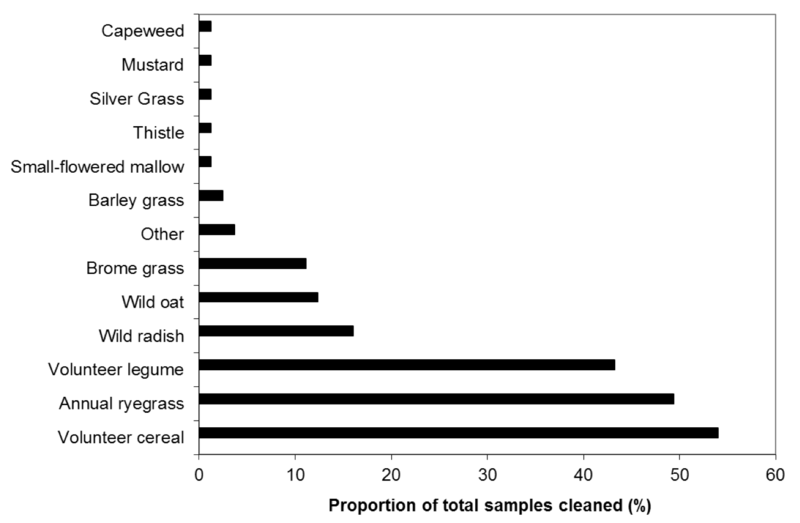 Figure 2: Seed contamination as a proportion of the total cleaned samples. Weed seeds found contaminating the crop seed samples were screened for resistance to commonly used herbicides (Table 1). The majority of annual ryegrass seeds found in the crop seed were resistant to diclofop-methyl (Hoegrass®) and sulfometuron (Group B) and wild radish showed resistance to chlorsulfuron (Glean®). However, no resistance to fenoxaprop (Wildcat®) and fluazifop (Fusilade®) was found in wild oat and brome grass, respectively. Table 1. The number of populations tested for each herbicide and the percentage (%) of populations containing herbicide-resistant weeds. The Carlton football club sacked their old coach and got a new one – which has made all the difference! Grain growers can choose to improve their crop seed cleaning practice very simply by sacking themselves (if they are cleaning their own seed) and using a contractor with a gravity table. Go the clean seed, and go the Blues! WeedSmart article: When is clean, clean enough?